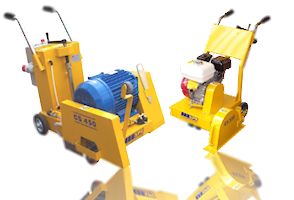 The SPE range of floorsaws includes products with 230mm, 350mm or 450mm blade guard capacities. Quick, safe and efficient tools for joint cutting, chasing or repairing highways. 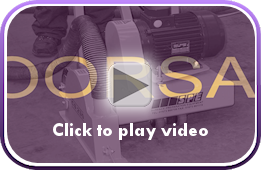 For joint cutting or chasing, the CS 230 range of SPE Floorsaws is the ideal solution. The CS 230 can be fitted with either one or two diamond blades that can be spaced up to 40mm apart using spacers provided. The balde guard is articulated and fully floating, ensuring that the cutting operation is dust free even when raising / lowering in and out of the cut. Petrol, single and three phase electric versions of the CS 230 are available.